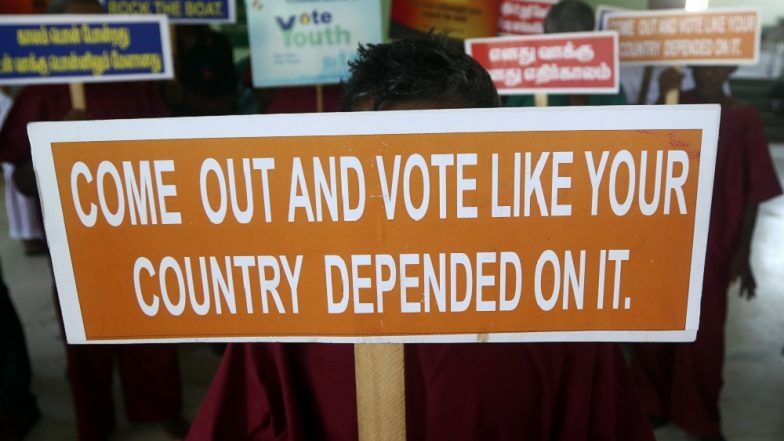 Chennai, April 11: As many as 7,780 polling booths are categorised as sensitive in the 39 Lok Sabha constituencies in Tamil Nadu, said a senior Election Commission Official. Speaking to reporters here, Chief Electoral Officer Satyabrata Sahoo said these booths will be closely monitored and additional security forces deployed there. According to Sahoo, about 5.99 crore people are eligible to vote in the Lok Sabha elections in the state. Tamil Nadu Lok Sabha Elections 2019 Dates: Constituency-Wise Complete Schedule Of Voting And Results For General Elections. He said the election flying squads and static surveillance teams have seized unaccounted cash of about Rs 127 crore from across the state. Elections for Lok Sabha and for 18 vacant assembly constituencies will be held on April 18 in Tamil Nadu.